If you are looking for a beautiful place to watch the tropical sunset on Koh Chang you will feel fine at the rock cape in the middle of Ko Changs west coast. The best way to come here is by Motorbike or Taxi. 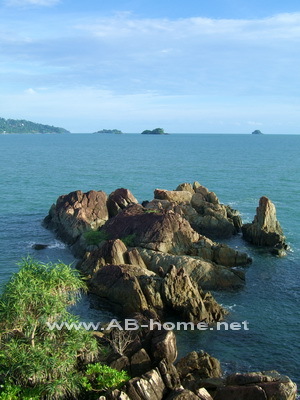 You can drive to the Chai Chet Resort and then follow the way to the rocks in the Gulf of Thailand. There are some steps to climb up the rocks. If you reach the top you will be surprised of the amazing view over the sea. 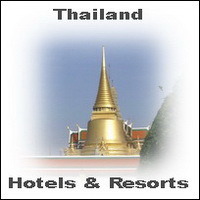 The best time to go here is between 6 and 7 pm when the tropical sun of Thailand leaves on the horizontal of the Gulf. If you look down to the rocks you will recognize the beauty waves who smash against the natural monument of Thailand in Southeast Asia. This is one of my favorite places here on Koh Chang to watch the colorful sunset. Other nice places to watch this spectacle of the nature here on the island are the Scenic Area at Kai Bae Beach or the place where Thale Bungalow was before at Klong Prow Beach. On the way back to your Hotel or Resort you can take a stop at Coconut Restaurant on the beach of Chai Chet to drink a delicious Fruit Shake and listen to the sound of the ocean. If you are visit the Chai Chet Cape don’t forget you camera to shot some nice pictures of your holidays.